Looking through one of the secondhand bookshops in Cheltenham on Friday, I found a copy of a course book for the Open University’s series on climate change. I didn’t buy it, because I’ve got enough books I’m reading already. And I’m afraid I can’t remember who wrote it, except that the first name of one of the authors was ‘Kiki’. However, I think it’s worth mentioning just to let people know that this literature is out there. Donald Trump and his fellow anti-science fanatics in the White House are trying to suppress all the evidence relating to climate change, and gag and sack the federal scientists researching it. Within months of his election he had inserted clauses in their contracts, which forbid them to publish academic papers supporting climate change. Now, according to one of the left-wing American news sites I follow, he’s decimated the number of employees and researchers within the American civil service dealing with climate change to the point where the federal office is basically empty. All this is for the benefit of the Republican party’s corporate donors, particularly in big oil, led by the Koch Brothers. The gruesome twosome have tried to suppress investigation and research in climate change and environmental damage by campaigning for the closure of federal and university laboratories. Once these have been closed, the Koch brothers then donate money to the universities to relaunch the labs, but with a different focus which avoids these issues. The last thing the fossil fuel industries want is Americans getting clean, green, renewable energy, which is why they’re also trying to pass legislation outlawing it and penalizing those Americans who use it. And they really, really don’t want ordinary Americans realizing just how much the planet is being trashed, thanks to industrialists like the Kochs. I’ve put up a number of pieces on this blog about the history of science. It never ceases to amaze me how inventive humans have been throughout history, and how peoples as far back as the ancient and medieval worlds nevertheless produced scientific ideas that even now seem stunningly modern. Solar power is another example of scientific ingenuity. It was demonstrated by a French engineer, Pifre, at a scientific expo in the Tuileries in Paris in the 1880s. Monsieur Pifre rigged up a parabolic mirror so that it powered a printing press, which produced his own newspaper for the exhibition. 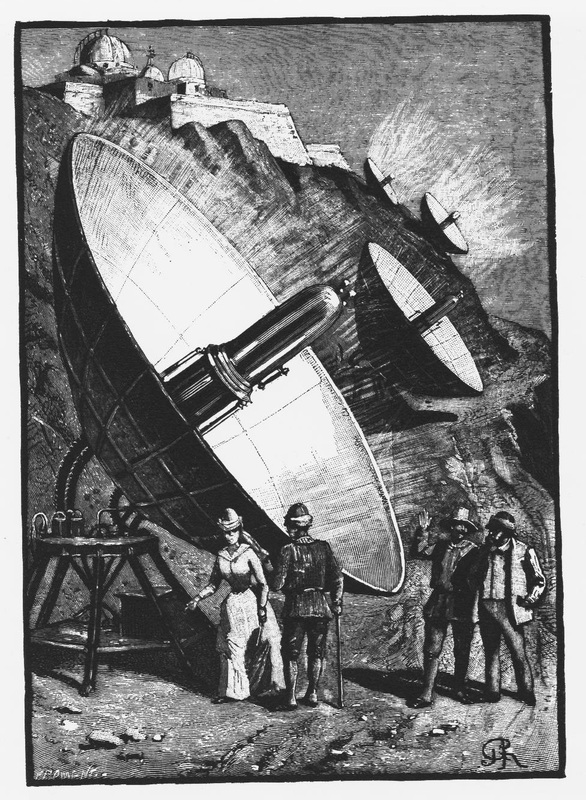 ‘This is a solar-heat condenser’, says the young astronomer in The Conquest of the Moon (1890) by A. Laurie. This one hundred-year-old SF ide, as illustrated by J. Roux, looks like something being tested today. The novel is filled with scientific facts and explanations, much in the manner of Verne. (p. 28). With the exception of the dress of the Victorian visitors, it looks like something from the pen of a modern illustrator for either a popular science journal like New Scientist, or a work of SF. it is amazingly modern. I was reminded of it by Hasan Piker’s piece for The Young Turks, discussing how Germany is well on its way to replacing fossil fuels with Green energy, including solar power, by 2050. I’ve blogged about that in my last piece. The Victorians were discussing the use of such power sources and the colonisation of space over a hundred years ago. Now it seems, we’re just catching up with their visions. This is simply amazing, and really inspirational. In this piece by The Young Turks’ anchor Hasan Piker, they discuss how the Germans a few years ago proved that renewable energy from solar power, wind and biomass generators, can provide an extremely effective, cost-efficient and highly competitive alternative to fossil fuels. Germany is the third largest economy in the world. It is the economic powerhouse of Europe, and consumes more energy than most European countries. But it seems on one day a few years ago, Green energy provided for a few hours 87 per cent of the country’s energy. For a few moments, energy prices actually went negative, meaning that the power companies were actually paying citizens for consuming it. The Germans were able to achieve this, as they have massively invested in solar power and wind energy. The country aims to achieve 100 per cent reliance on Green energy, instead of fossil fuels, by 2050, and is well on its way there. 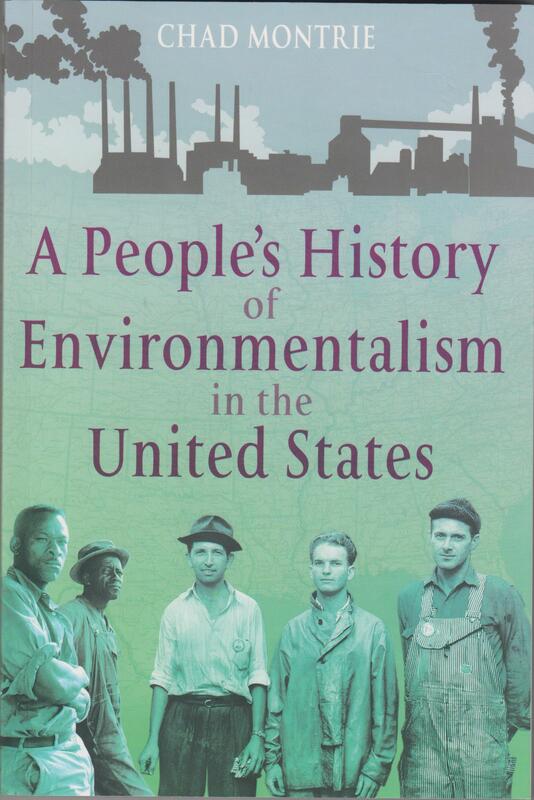 Mr Piker cites an academic study that says that America could also achieve the same, but Green energy in the US is held back through the massive subsidies given to the fossil fuel industries. Coal and oil are at the moment vastly cheaper in America than their renewable alternatives, which obviously discourages uptake. And also Green energy is at a massive disadvantage because of the power of the fossil fuel lobby. Mr Piker ends on an optimistic note, stating rather mischievously that America has beaten Germany once before, while behind him plays footage of Nazis from World War II. And with the future of the whole human species at stake, America can do so again. I know that many of the readers of this blog are keenly interested in Green issues and renewable energy. In this interesting little snippet, The Young Turks’ main anchor, Cenk Uyghur, discusses a prediction by the head of Nissan’s electric car division that by 2020, the number of recharging stations for electric vehicles will have overtaken the number of petrol stations in the UK. At the moment the number of petrol stations in Britain is 7,800 odd. This is down from the 37,000 + stations there were in Britain in the 1970s. However, purchases of electric vehicles are growing by such an extent, that they’re expected to reach 7,900 in four years time. The growth in popularity is put down to advances in one area of technology, such as batteries, driving improvements in others as more people buy electric vehicles. He also notes the example of a stretch of road that had a high number of electric charging stations installed by a company called Ecotrity, which resulted in more electric vehicles being purchased. At the moment, America is far behind the UK, with only 14,000 recharging stations for electric cars compared to 168,000 gas stations. But this is going to change, predicts Uyghur. This is really going to drive Conservatives up the wall. They’re very heavily tied into the oil industry, and hence the Tory enthusiasm for fracking. This challenges the market dominance of the petrol industry, at least for automobiles, and hence is going to be potentially a major blow to the power of their corporate donors. Cameron and the Tories are already doing their level best to starve renewables of funds to prop up fossil fuels and nuclear power. If this really does start to go ahead, we’d better get ready to watch them try to close down the electric car industry.